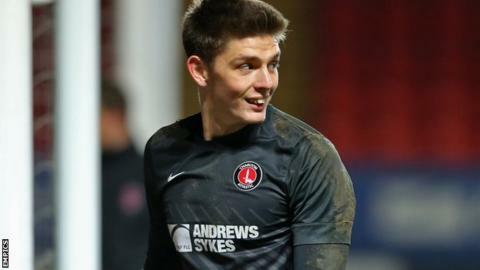 Charlton Athletic goalkeeper Nick Pope has signed a new long-term contract with the Championship club. The 22-year-old, who had two years remaining on his previous deal, will now remain at The Valley until the summer of 2018. Pope had two spells on loan at York during the 2013-14 campaign, keeping 16 clean sheets in 24 appearances. "I'm delighted that the club thinks I'm part of their long-term plan," Pope told the Charlton website. He joined the Addicks from non-league side Bury Town in the summer of 2011 and made his debut in May 2013. It remains Pope's sole senior appearance for Charlton, but he now hopes to establish himself in their starting XI. "I'll work hard at Charlton and see what happens," he said. "I think this is the right place to develop and, with the right coaches around me, hopefully I can do that. This is where I want to play my football."